I’ve been a member of missussmartypants.com for a few years and she has saved me tons of money. She emphasizes buying the basics and getting the best you can afford. She tells us to ignore the sizes and try each item on. The sizes vary from company to company and from style to style in each company. She has been sending us articles on shopping at resale shops, i.e. Good Will, Salvation Army, and I am so glad I listened. I blogged about looking for a trench coat, http://wp.me/pK67X-Vc on http://www.thisyearsbiblereadingguide.com. 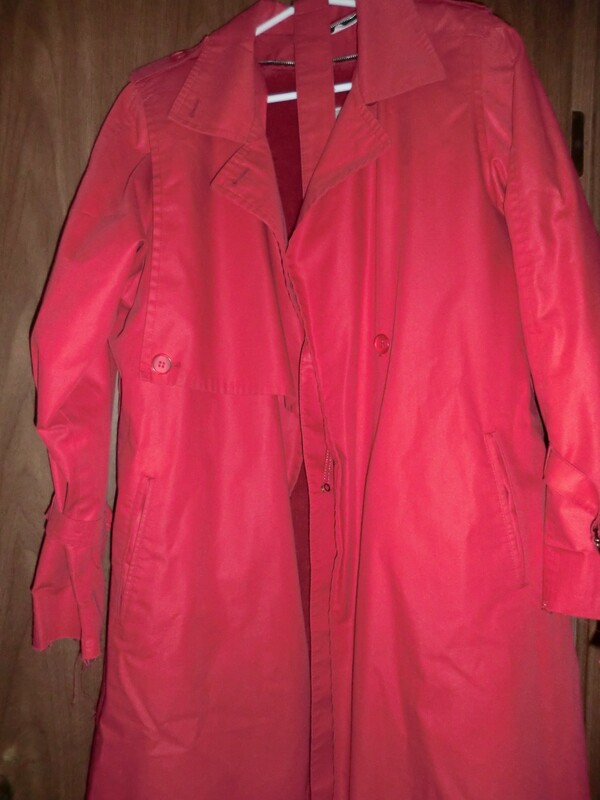 I was amazed when I walked into a Good Will and saw a red London Fog trench coat. I couldn’t find the size or the price. I tried it on, and except for the sleeves needing lengthened, it fit. 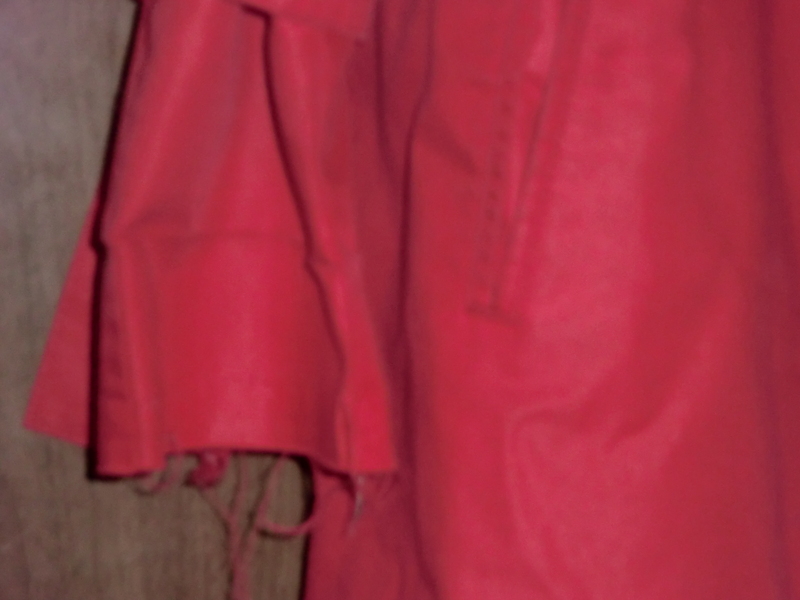 My “new” red trench coat with a detachable liner. I took it to the counter to find the price. It was there I noticed the size, 6 Reg. If I had found the size first, I never would have tried it on! I was floored when told the price was $5.88. I priced a similar coat in another color and on clearance it was $164.24!!! I bought it. I was pleased when I took the sleeves apart to find a generous hem. There is a generous hem with plenty of material to lengthen the sleeves. Wait and see how I personalize it! This entry was posted in Clothes, Money Saving Ideas, Purchasing, Repair and tagged Clothes, Money Saving Ideas, Purchasing, Repair It by Frugal Fish. Bookmark the permalink.